Platinum-selling recording artist Keyshia Cole was being sued by a New Jersey event promoter who claims Cole agreed to and then flaked on a 2006 appearance, and that he had paid her $15,000 up front. 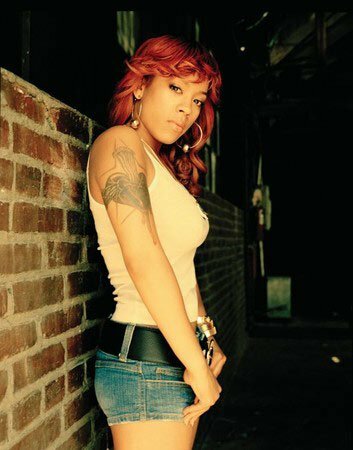 After Keyshia Cole was reluctant to read certain documents during the hearing, the judge surmised the singer couldn’t read: “…it appears at times that she was not literate.” After Cole read some documents that she thought would help her, the judge realized the defendant could in fact read. It didn’t matter though, because the judge still ruled against Keyshia Cole and ordered her to pay the event promoter $160,000 in damages. In March 2009, Cole began dating Daniel Gibson of the NBA’s Cleveland Cavaliers. On February 4, 2010, the pregnant Cole was hospitalized for precautionary reasons. On March 1, 2010 Cole was admitted into the hospital with labor pains. One of Keyshia’s closest friends, R&B singer Monica, confirmed the labor situation via her official Twitter page. On 2 March 2010, Cole gave birth to her first child, a boy, named Daniel Hiram Gibson Jr.
next post: Heidi Montag Is Crazy. Now In 3D! 50 queries in 0.929 seconds.